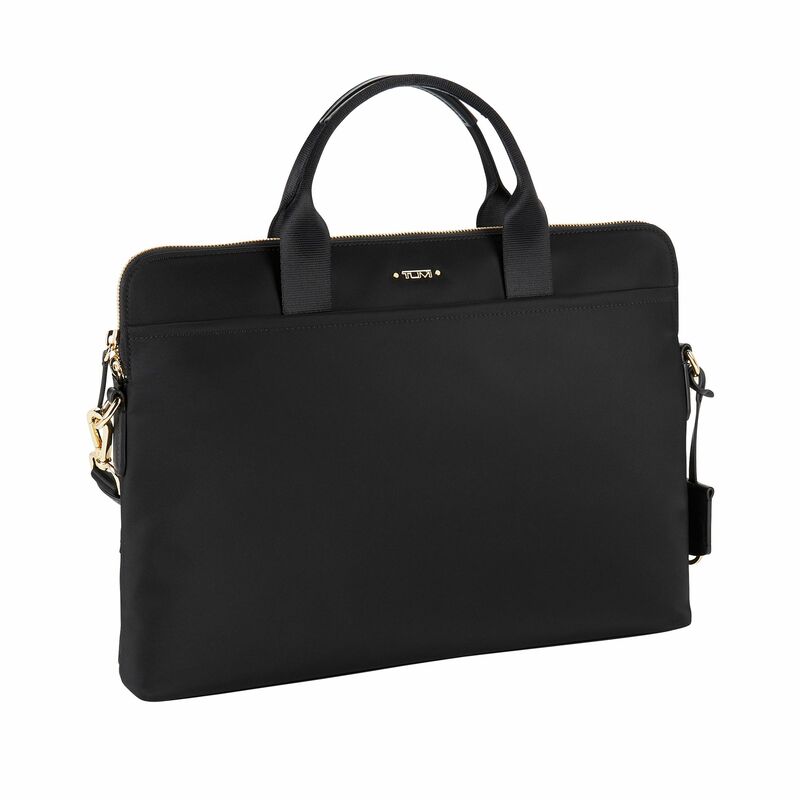 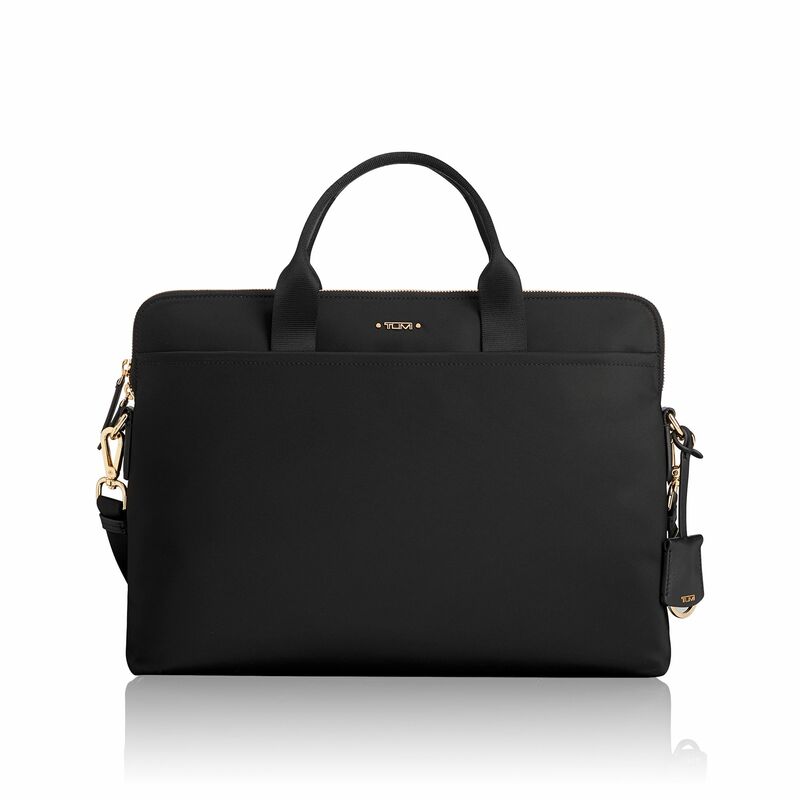 Ideal for business and travel, this sleek laptop brief is as smart as it looks. 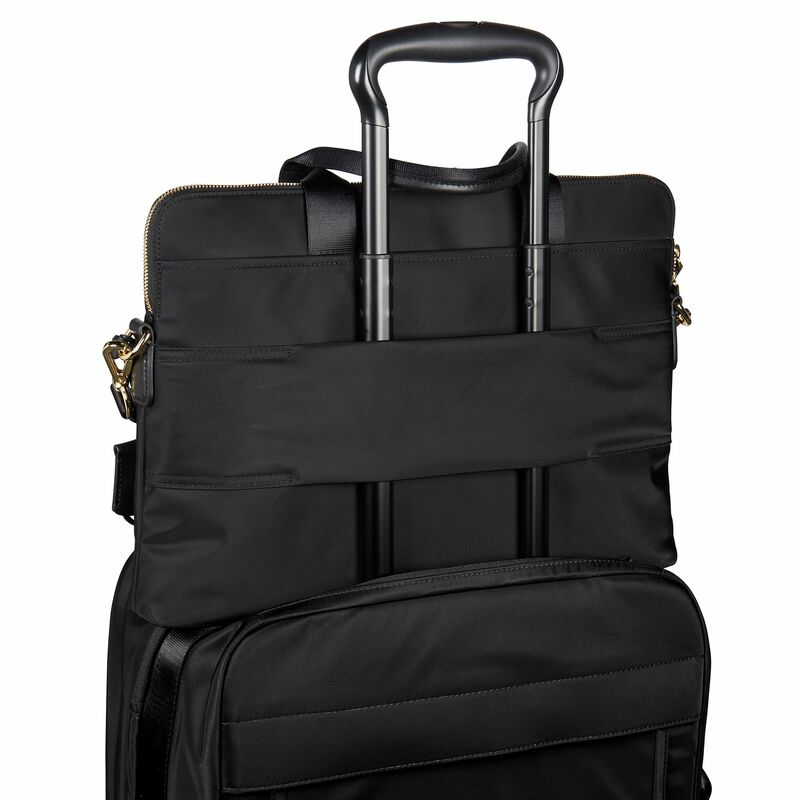 It fits a 14" laptop, features a front pocket with a hidden magnetic snap for easy access to important papers, and can be carried with removable shoulder strap or by the handles. 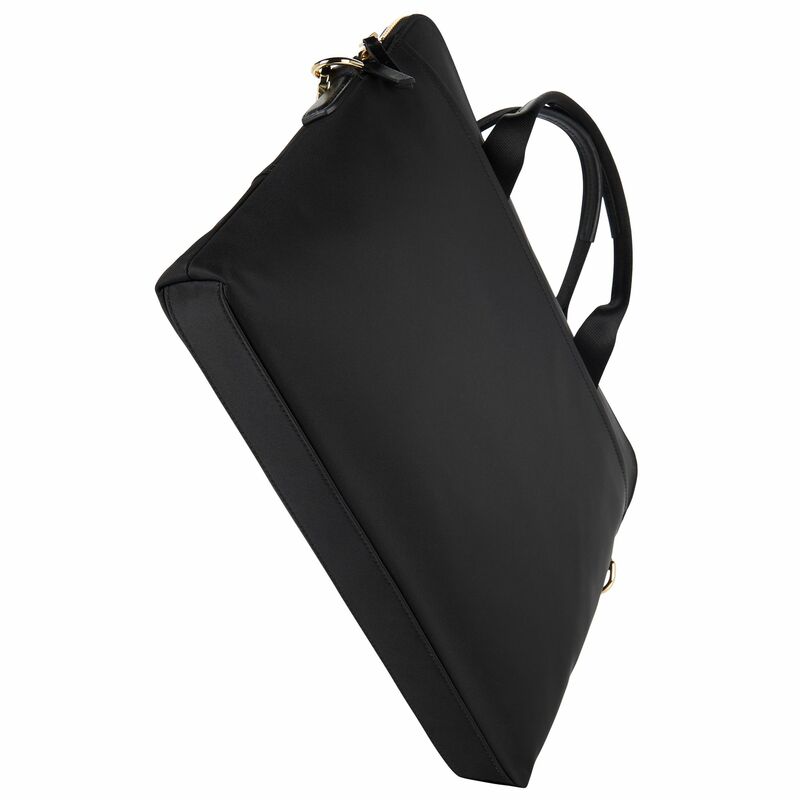 Purposeful, practical design that doesn't compromise on style: Our Voyageur collection brings you versatile and lightweight nylon backpacks, bags, and accessories for women.